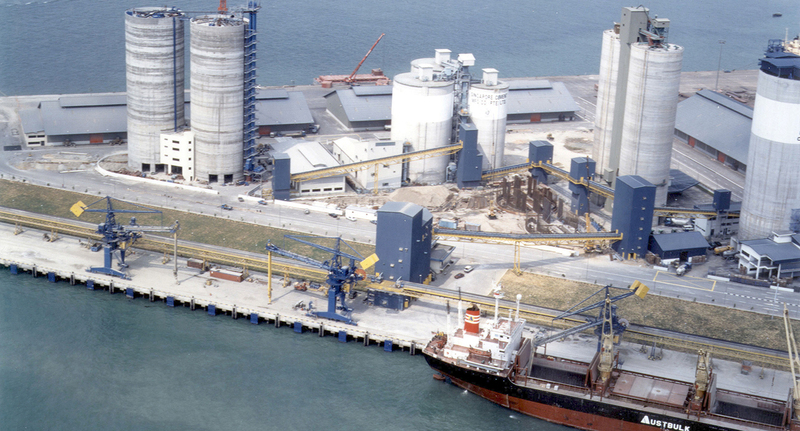 The terminal serves as a common facility for cement importers in Singapore, to replace a number of small import terminals. 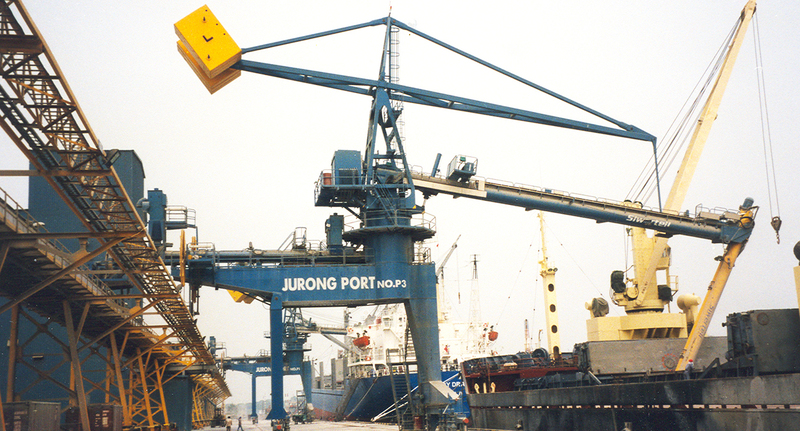 By gathering the importers and letting them share the same ship-to-silo system, Jurong Town Corporation created a state-of-the-art terminal with the environment in focus and introduced a new concept to the cement industry. Two ships of up to 40,000 dwt each can be discharged in parallel. The unloading system includes three ship unloaders, each with a guaranteed rate of 800t/h. The unloaders can be combined for free digging and/or clean-up duty in one or two ships simultaneously. In order to convey the cement from the quay and distribute it to the six cement importers, a highly flexible conveying system was installed. The system is totally enclosed and focused on low maintenance. Siwertell has combined belt and screw conveyors, aeroslides and bucket elevators to secure a flexible design and reliable functions. The terminal also allows for self-unloading ships to be connected to the conveying system.